Classes started this week so I haven’t really been paying as much attention to the entertainment world as I would like but here is a quick little blurb about what I am looking forward to. I recently bought my copy of the September issue of Vogue. September Vogue is the fashion bible! I haven’t read mine just yet but I can’t wait. Katy Perry’s new album Teenage Dream was released this week and I absolutely adore it! Her boldness is what I have always loved about her and this album is no different. She is balls out honest in these songs (my favorite so far being Circle the Drain). Ms. Perry is seriously talented and seriously brave; a lethal and sensational combination! Look out Britney, looks like Katy is gunning for your princess of pop title. Gossip Girl Season 3 was released on DVD this week. I should be receiving mine from Amazon any day now and can hardly stand it! I didn’t get to watch the season and desperately need to get caught up. There’s nothing I love more than getting all the dish about the scandalous lives of Manhattan’s elite. The Primetime Emmy’s will be broadcast on NBC this Sunday. I have a personal obsession with award shows and this one is particularly exciting! 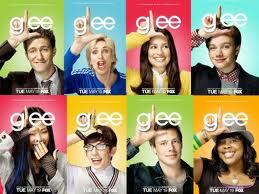 My favorite television show Glee has 17 nominations! It is such an original show with hugely talented actors portraying the lives of high school “arts kids.” Not only does it show how important arts programs in schools are but it finally gives the kids who participate in those programs (or those of us who were a part of them in high school) the feeling that they are important too. No matter how much they have been made fun of, they are not alone. I will be cheering the show on from my couch! Looks like I have a busy few days ahead of me. Until next time! Glad to see ya up and writtin’! Another way for me to keep up w/ you and the goings on in your life!